It’s the last day of hiking, and at the trail’s end Jason, Anne Dorthe, Samir and Mingmar take the terrifying Jeep ride after dark along cliff edges back down to Kathmandu, and say their sad goodbyes. 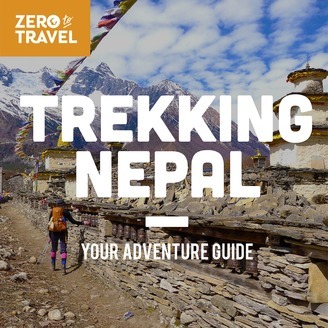 Set off with Jason and Anne Dorthe to explore other parts of Nepal, including Pokhara and Bhaktapur! Thank you for joining us for this adventure in Nepal! Ready for the next step? 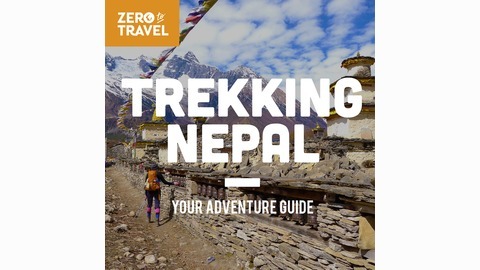 To access the ultimate resource for hiking adventures around the world and get our FREE gear guide, check out zerototravel.com/trekking.